Send a bouquet of sunshine from RAINBOW FLOWERS! We’re a local Fresno, California florist proudly serving the area since 1978 with a lovely variety of fresh flowers and creative gift ideas to suit any style or budget. We hope you enjoy your online shopping experience with secure 24-hour ordering right at your fingertips. If preferred, you may call us to place orders direct at (559) 431-7701 or 1-800-700-5156. Rainbow Flowers is open to serve your floral and gift giving needs: Monday through Friday 8:30 am to 5:30 pm ~ Saturday 8:30 am to 2:00 pm ~ Closed Sunday. Large selection of plants and unique gifts ~ Choose from our Green & Blooming Plants, Dish Gardens, Fruit & Gourmet Baskets, Gift Baskets, Baby Gifts, Candy & Chocolates, Greeting Cards, Home Décor, Seasonal Gifts, Scented Candles, Silk/Artificial Flowers, Plush Stuffed Animals and Balloons. 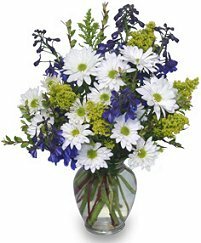 Thank you for visiting our website with flowers delivered fresh from your local Fresno, CA flower shop and convenient online ordering 24 hours a day!